This summer, many Hollywood celebrities make news only by visiting famous holiday spots and showing off their bikinis and swimming attires. From Hawaiian beach to Mediterranean Sea, Hollywood celebrities welcome summer by enjoying sun in even warmer (and more exotic places) than LA. Some bring their kids, others enjoy romantic holiday with their mates. Who are Hollywood celebrities that recently grace many magazine covers and social media albums with their summer holiday pictures in exotic places? Let’s find them out. 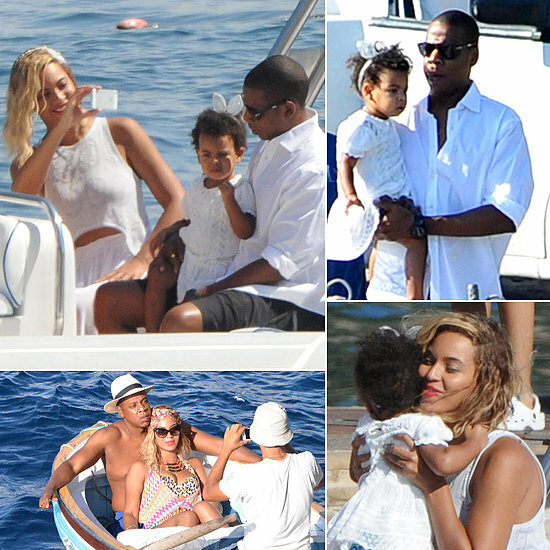 This dream couple spent their summer holiday in Mediterranean Sea, cruising with their private yacht to Italy and Spain along with their daughter, Blue Ivy Carter. This summer holiday apparently doubled as birthday holiday, as dear Mrs. Carter turned 32 when they started the cruise. Beyonce regularly posted her holiday pictures in her personal blog, including her pictures with Jay Z on their yacht. The actor apparently chose to spend precious ‘me-time’ by himself, when he was spotted by paparazzi relaxing alone in Hawaii beach last Saturday. He spent time swimming, cruising on the beach and just enjoying himself. He even chose not to bring his girlfriend, a model named Suki. The Hawaiian holiday was his last free time activity before he starts a new movie project with Cameron Crowe. These two famous tennis players apparently chose to spend their precious summer holiday time in their own country, taking a short break before the next championships and sport events. Serena chose to spend summer by taking a break on Miami Beach, while Rafael Nadal chose to going on a yacht cruise with some good friends. Apparently, Penelope Cruz has no problem at all showing off her body in bikini, only 2 months after giving birth to a daughter. She and her husband chose to spend summer holiday in warm Corsica, spending time together with their friends on beach cruise and yacht trip in Mediterranean Sea. What are the similarities between Pink and Nicole Kidman? Nothing, except that they were just spotted spending summer holiday in Indonesia. They went to Yogyakarta and apparently quite succeeded in avoiding paparazzi for some time. They spent time by shopping in Malioboro Street as well as visiting Borobudur Temple and Kaliurang area near Mount Merapi. The former Disney Star, who a couple of months ago became infamous when sporting misspelled Italian phrase as tattoo on her ribcage, was just spotted in Miami Beach, a favorite spot for many celebrities to spend summer holiday. Now, as winter approaches, we can start to expect some great winter holiday snaps from more celebrities.